We've always thought that the LeBron 15's were one of the best-looking kicks for hooping around. That Battleknit really stood out versus anything else—and in a good way! 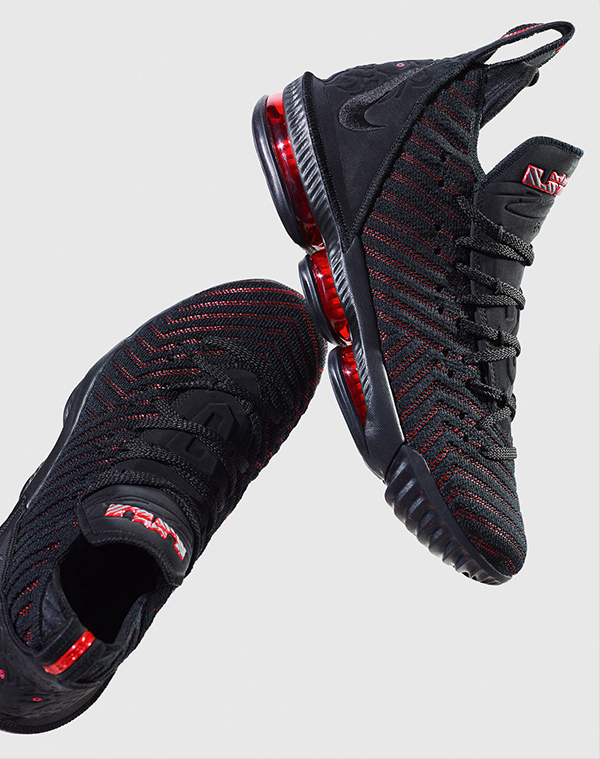 With a new season comes a new model to #lebronwatch though, and the LeBron 16 looks like a worthy successor. 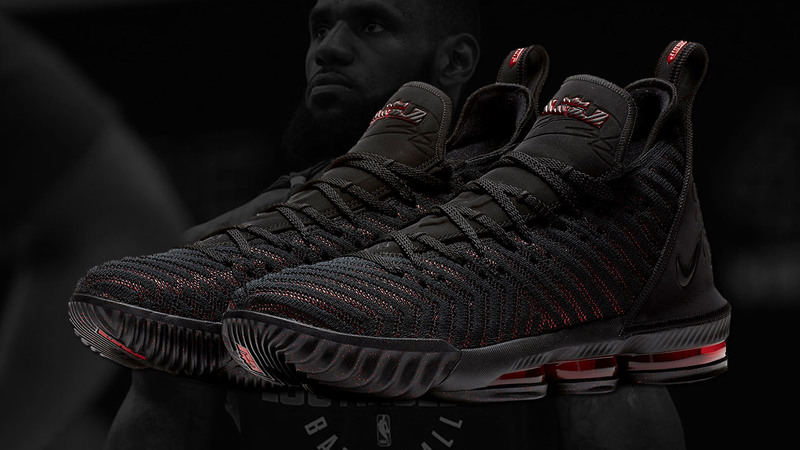 You can instantly see the Battleknit 2.0's more angular structure (to support LeBron's power moves, of course) that make up the lower-cut sneaker. 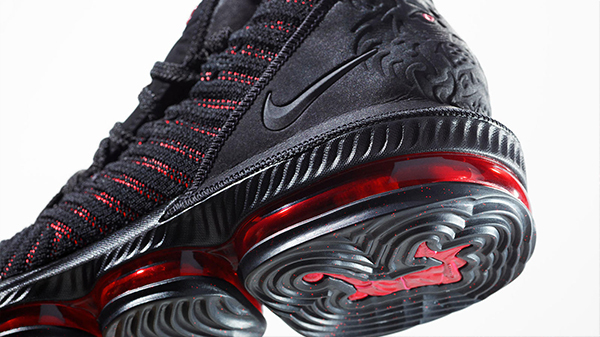 The 16 also gains a leather tongue for easier access and colorway potential. 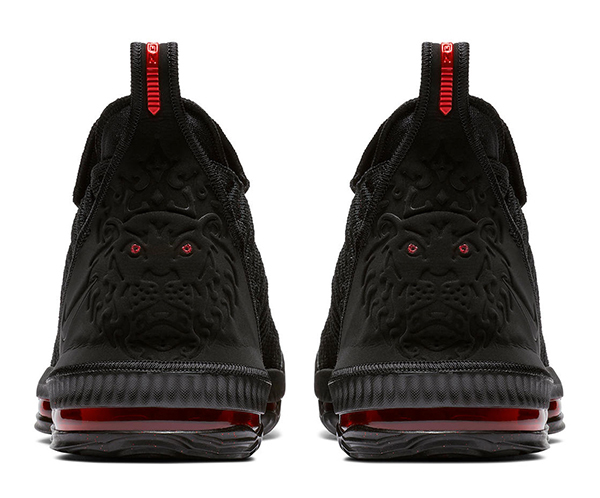 The sole still features tweaked Max Air cushioning, and the boldest spot of design would probably be the lion's on the heel of the shoe. 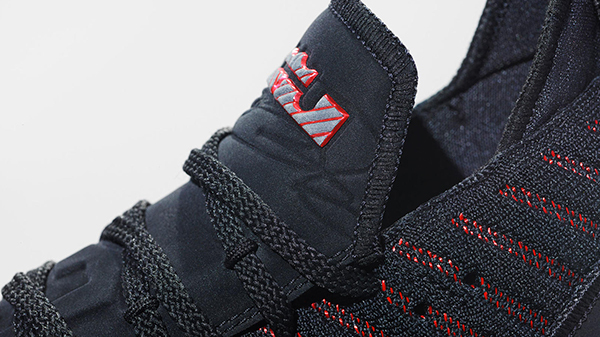 The launch "Bred" colorway is solid, but we've already seen some teases of what's next. 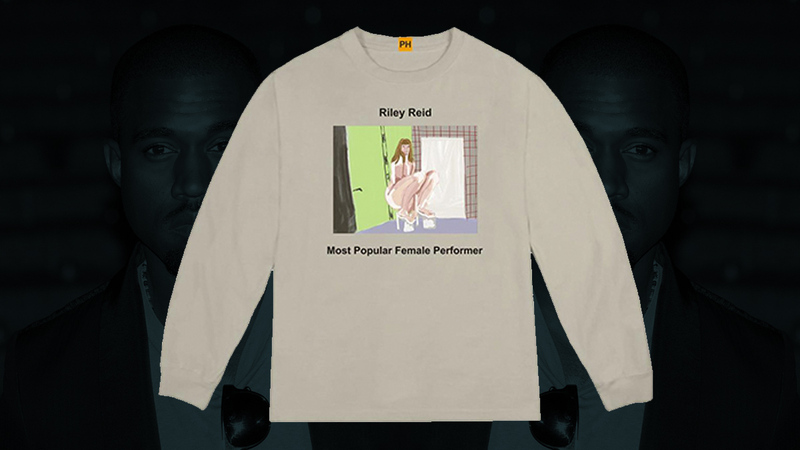 Next five colorways huh! You can totally see the new relaxed NBA color rules at work here since you've got a whole load of non-LA color up in there. With that in mind, are you pulling the trigger on the 16's right away when they release September 20? Or will you be holding on to your cash just a bit longer?